Stonewall Jackson "Bill" Hopper, Jr. Celebrating the life of Stonewall Jackson "Bill" Hopper, Jr.
Be the first to share your favorite memory, photo or story of Stonewall. This memorial page is dedicated for family, friends and future generations to celebrate the life of their loved one. Obituary for Stonewall Jackson "Bill" Hopper, Jr.
Stonewall Jackson “Bill” Hopper, Jr., 85, passed away on Monday, October 15, 2018. Born February 23, 1933 in Clover, SC, Bill was the son of the late Stonewall Jackson Hopper, Sr. and Catherine Shepard Hopper. Bill was a graduate of Clover High School and the University of South Carolina. He attended Clover First Baptist Church and was the longtime store manager of JC Penney, where he retired after 37 years of service. In addition to his parents, Bill was preceded in death by his beloved wife, Jean Worrells Hopper; son, Tim Hopper; sisters, Helen Stanton and Faye Fields. Bill is survived by a son and daughter-in-law, Tom and Susan Hopper; daughters and sons-in-law, Patti Patriarca, Cindi and Brian Stedwell, and Terri and Klaus Fuhrmann; eight grandchildren and one great-grandchild. 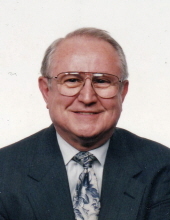 Family and friends of Bill Hopper are invited to attend his visitation beginning at 6:00 PM until 8:00 PM Thursday at McLean Funeral Directors of Gastonia. His funeral service will be held at 11:00 AM Friday in Founders Chapel of McLean Funeral Directors of Gastonia with Pastor John Stanley officiating. Burial will follow in Gaston Memorial Park. Flowers are accepted or contributions in memory of Bill may be sent to Gaston Hospice, P.O. Box 3984, Gastonia, NC 28054. McLean Funeral Directors of Gastonia is serving the Hopper family. To send flowers or a remembrance gift to the family of Stonewall Jackson "Bill" Hopper, Jr., please visit our Tribute Store. 700 S. New Hope Rd. "Email Address" would like to share the life celebration of Stonewall Jackson "Bill" Hopper, Jr.. Click on the "link" to go to share a favorite memory or leave a condolence message for the family.